I prefer to use PV to power my thermal collectors when I can, but the high 22v output of a "12v" panel can sometimes be a problem. A charge controller and a battery will work, but batteries are cumbersome and expensive, and the charge controller won't work without one. I finally found a DC-DC "buck" converter will do the job without the battery. It can be connected directly to the PV output and steps the voltage down to a steady 12 output. Some are waterproof and can be stuck to the back of the panel, so now I have a "true" 12v output. Lots of them in different voltages and some are adjustable. Works for me. "It can be connected directly to the PV output and steps the voltage down to a steady 12 output." 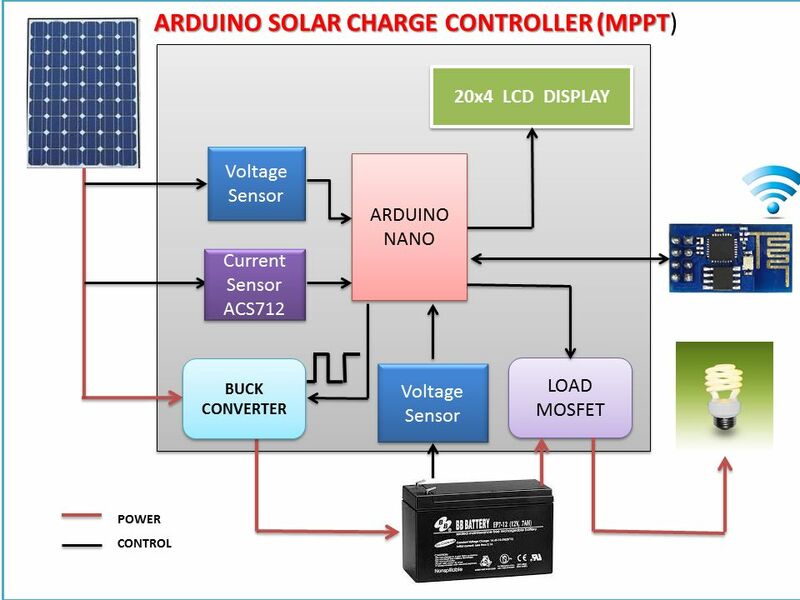 The heart of a MTTP MPPT charge controller is a adjustable Buck Converter. It is what shapes the input from the panels into most efficient charging profile. Would you by any chance mean MPPT controller, as in "Maximum Power Point Tracking"? Yes, I have one, and it's great, but it WON'T work without a battery. This little gizmo will. Cheaper too! "Would you by any chance mean MPPT controller, as in "Maximum Power Point Tracking"? Yes, I have one, and it's great, but it WON'T work without a battery." Yes it was a typo and you figured it out. The statement was more for DIY electronics guys. One could build a custom MPPT charge controller around an adjustable buck converter. I'm sure they could... just add an Arduino or Rasberry and a few hours of tinkering. I'm sure it has. But considering the price of batteries, I'm not sure it's worth it. My battery bank is nearly $1000, I'd hate to have to replace them because of an algorithm error. For a small, inexpensive battery, one could simply get one of these and set it to the desired voltage, which is pretty much what PWM chargers do anyway. "For a small, inexpensive battery, one could simply get one of these and set it to the desired voltage, which is pretty much what PWM chargers do anyway." PWM regulates the charge not the voltage per se. PWM controllers works by reducing the current from the power source according to the battery’s condition and recharging requirements. Yeah they regulate the current by controlling the voltage but it is the current that matters. The Buck converter could be used as a battery maintainer for battery types that use a Constant Voltage charge profile. You would need to set the Buck Converter to the charged voltage not the charging voltage. If you set it to the charging voltage you risk over charging the battery. Anyway, my object was to regulate the service voltage while eliminating the need for a battery (cost/maintenance). The simple buck converter does that, as is. It also allows the system to shut down at night; a battery-powered system won't without additional hardware. So far I have two of them in service, and they work great. Cheaper than anything else, too. With the adjustable converter I can set the voltage at say 15v and get a little more power without burning anything up (done that). Oh yea, if you got an application that only requires power when the sun is shining, the Buck Converter is a elegant cost effective solution.